Do you know what is hidden in the food you eat? 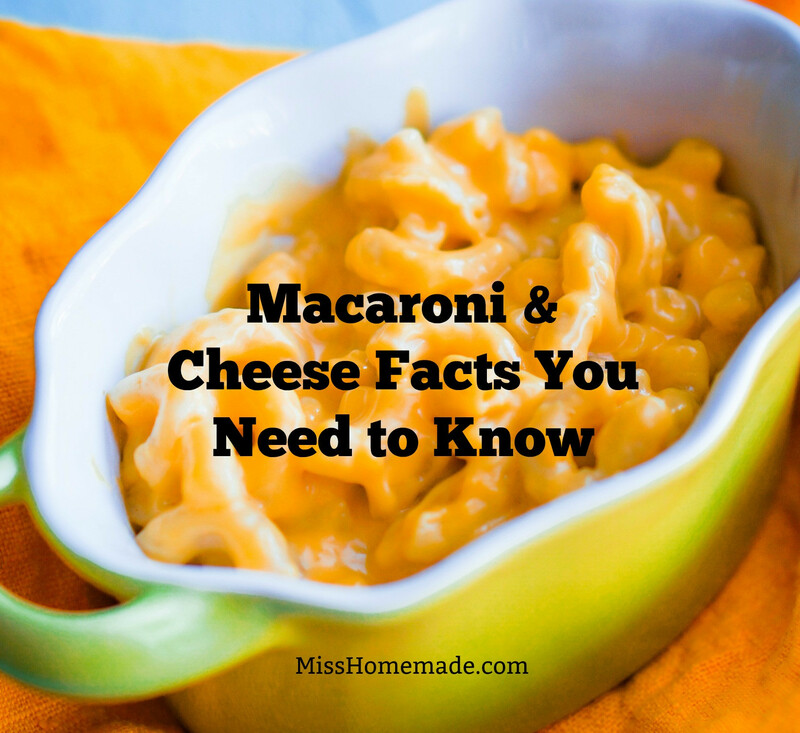 Macaroni and cheese facts you need to know right now is a new segment of my website where I tell you what to look for and stay away from when grocery shopping. Making food from scratch is important if you want to eat healthy. I also offer over thousands of homemade recipes from scratch here at MissHomemade.com so you may want to bookmark it. If you would like to receive my updates by email, please go to the bottom of the page and you will find a sign up box. What were you doing July 14th? Did you celebrate National Macaroni and Cheese day? No? Me neither. Macaroni and cheese is a comfort food enjoyed by millions. Mac n’ cheese is popular: it’s simple, inexpensive, and most importantly, a kid-pleaser. It saves many a lunch, and the occasional dinner, when parents are too busy or exhausted to fix an elaborate meal for the family. The blue box is a popular choice; 2 million boxes of Kraft Macaroni and Cheese are sold every day. You may remember that Kraft was on the hot seat this summer and according to the New York Times an independent laboratory tested cheese products and industrial toxic chemicals were found in 29 out of 30 varieties tested. The groups tested 10 different varieties of mac and cheese, including some that were labeled organic, and found high levels of phthalates in all of them. Why test cheese products? A recent scientific review concluded that dairy products were the greatest source of dietary exposure to the phthalate DEHP for infants and women of reproductive age. Therefore, cheese products were chosen as the first in a series of dairy products and other foods to test for phthalates. This is the first-ever report on phthalate levels in cheese powder from macaroni and cheese. About 710 million boxes of dry mix mac & cheese were sold in the U.S. in 2012. The testing identified ten different phthalates in all, with up to six in a single product. Average phthalate levels were more than four times higher in macaroni and cheese powder samples than in hard blocks & other natural cheese, in fat of products tested; DEHP, the most widely restricted phthalate, was found more often and at a much higher average concentration than any other phthalate, among all the cheese products tested. The new research found phthalates in the powdered cheese of all 10 individual packets of mac n’ cheese tested. Measured in fat, the levels in mac n’ cheese powders were on average four times higher than they were in hard cheese blocks or other natural cheese. Yikes! Even worse, one type of phthalate that has been banned in toys—DEHP—was found in every cheese powder tested. Human health studies also have linked exposure to some phthalates, during pregnancy, with a genital condition in baby boys associated with increased risk of reproductive health problems, as well as harm to the developing brain that can lead to learning challenges and behavioral problems. It was also reported this year that up to 725,000 American women of childbearing age may be exposed daily to phthalates at levels that threaten the healthy development of their babies, should they become pregnant. Scientists agree that for most people the greatest exposure to phthalates comes from the food we eat. Phthalates are linked to a genital condition in baby boys associated with increased risk of reproductive health problems, as well as harm to the developing brain that can lead to learning challenges and behavioral problems. It’s beyond alarming that one of the favorite comfort foods of American children is polluted with harmful, toxic chemicals. What can you do about it? Along with the story of a pregnant woman you may sign the petition to have phthalates removed here. As always, I’m here to bring awareness to food that we eat and what exactly is in it. If you want to receive my updates, please sign up below.